The January sales are finally here, offering fantastic opportunities to grab a real bargain, but if (like many) you dread the thought of an embattled trip to the local shopping centre, why not shop online instead? 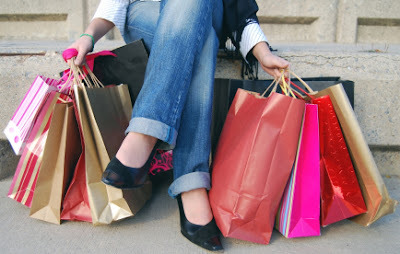 Here are a few top tips on how to get the most out of your virtual retail therapy. Just as on the high street, many online stores offer great discounts and sales, and savvy shoppers should make a point of looking out for special discount codes and limited-time offers whilst browsing online. There are plenty of websites devoted to aggregating promotional discount codes from all over the web - all it takes is a quick search, and you can make some serious savings on everything from clothing and electricals to unique experience days. One big advantage of shopping online is the opportunity to have any gifts pre-wrapped - saving you the hassle of grappling with sellotape and scissors prior to a birthday or occasion. The January sales offer a prime opportunity to pick up some great value gifts at knock-down prices - so even if that birthday isn't for a couple of months, you can always shop now and store it away in anticipation. Some exceptionally thrifty shoppers even wait until the sales start on Boxing Day to order their belated Christmas gifts online - though this option probably won't suit everyone! If you're planning on buying from slightly more niche sites that aren't run by major retailers, it's definitely worth checking that the store is safe by searching for reviews from other consumers. You can also look out for reliable indicators such as a secure 'https://' address at the checkout screen, usually accompanied by a small padlock symbol in the address bar, which indicates that the site is secure and safe to use. Whether you're looking for household essentials, the latest fashion, family entertainment or top gifts, home shopping at isme.com is quick, easy and convenient. With next day delivery, free returns and a handy 'buy now pay later' scheme, it's an excellent place to shop online - and not just in January! When it comes to computer tablets and home electronics, the possibilities and products are constantly changing. At You Should Have It Live, we’re here to help you stay ahead of the curve with the hottest new technology at a fraction of the cost. Find products for personal use, such as headphones and unlocked cell phones, or discover items that benefit the whole family, like audio docking stations, HDTVs, home security cameras and alarms. Buy electronics online at EVINE Live for convenience and affordability – we’re proud to offer high-quality refurbished electronics with stellar performance.